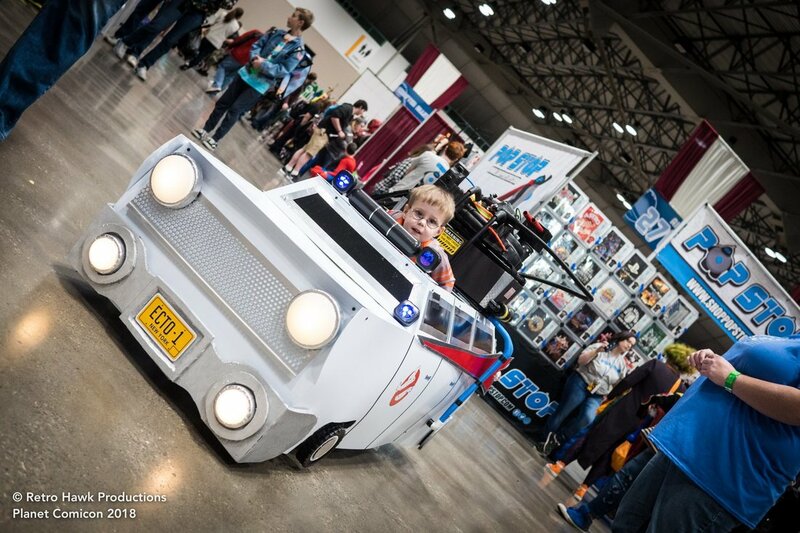 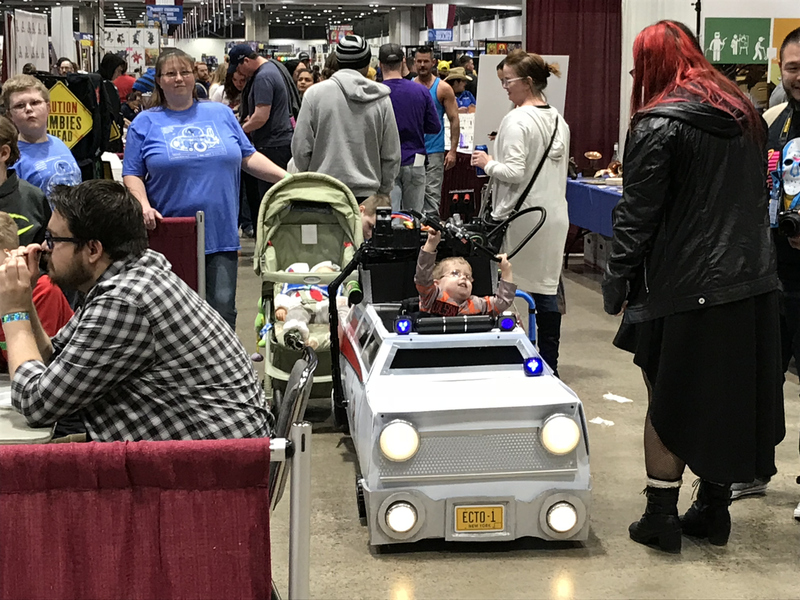 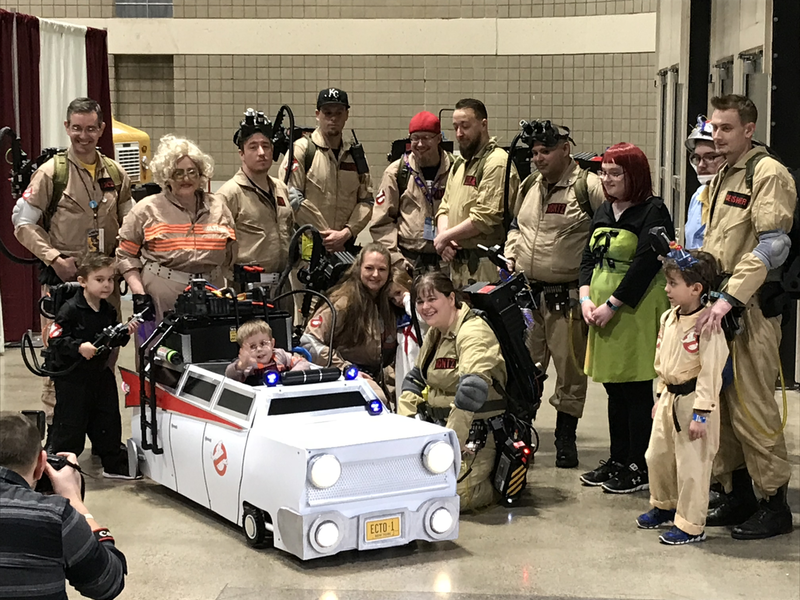 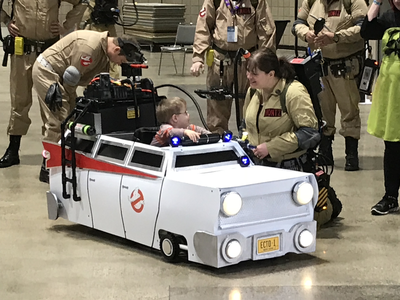 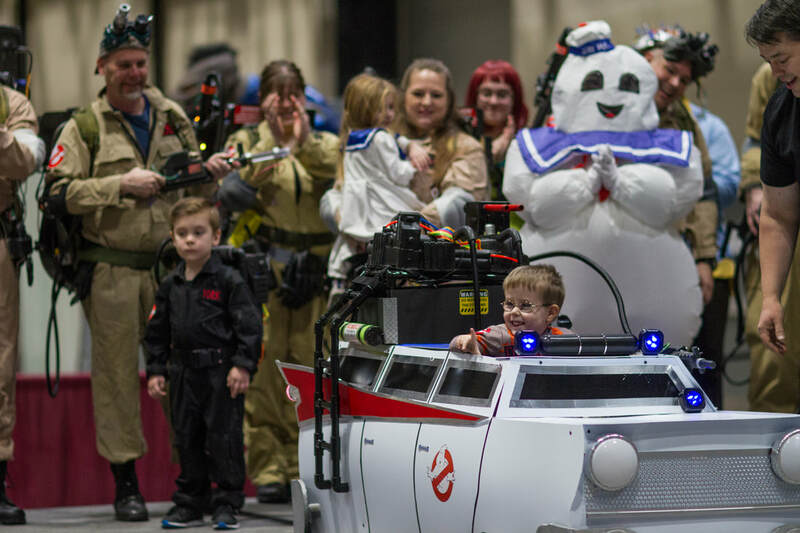 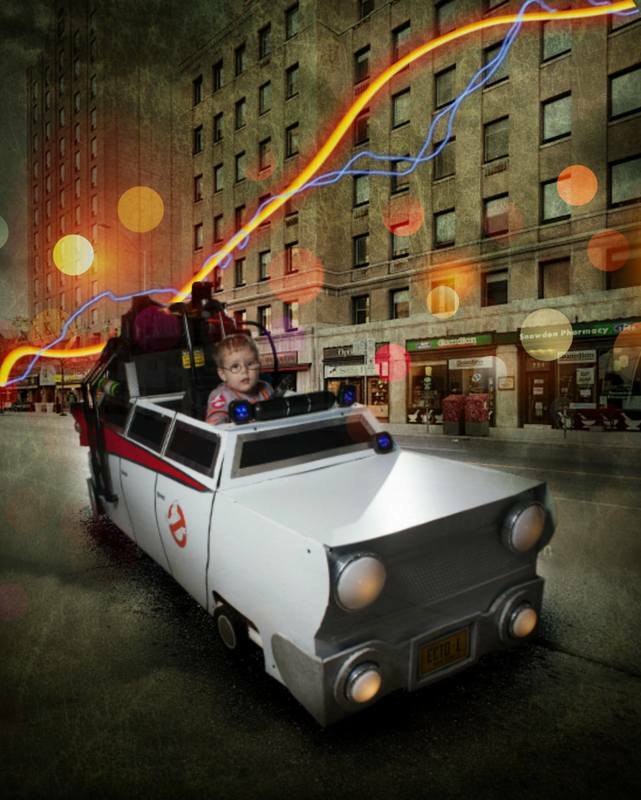 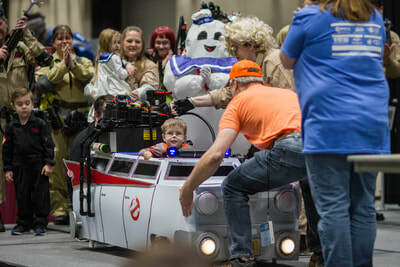 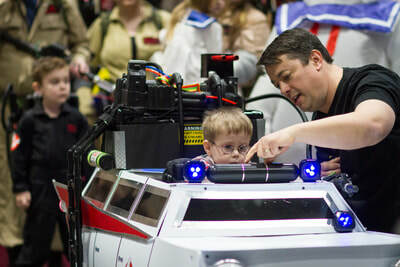 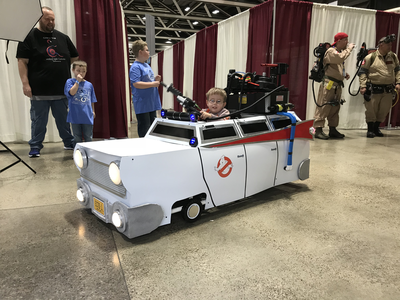 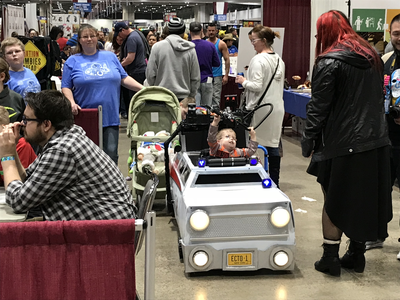 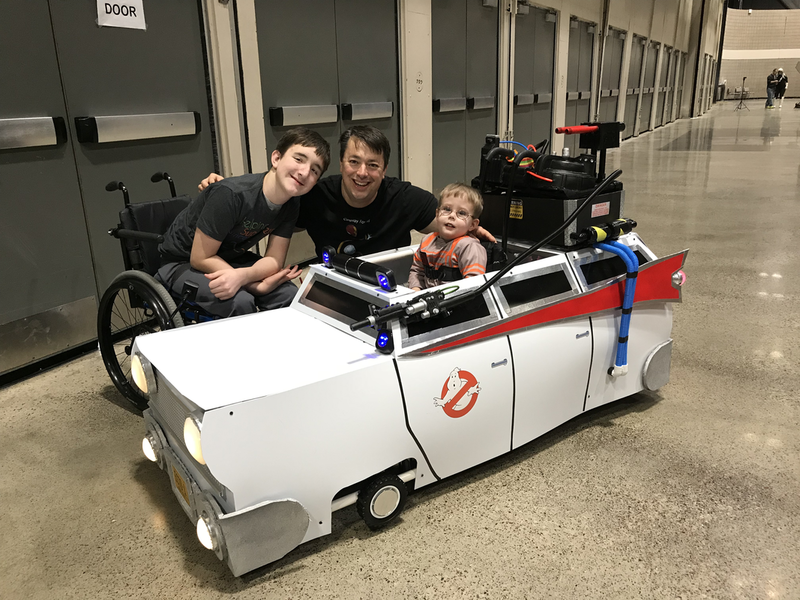 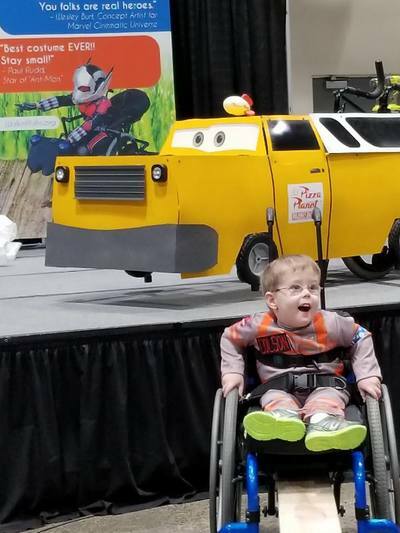 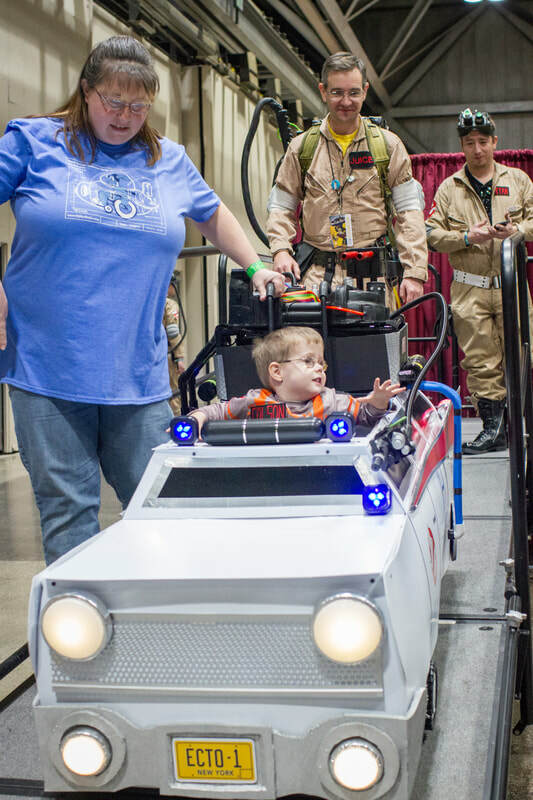 3-year-old Colson received his Ecto-1 Ghostbusters costume live on-stage at Planet Comicon in Kansas City, Missouri. 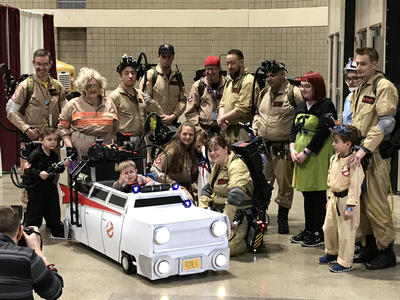 He was escorted around the comicon by a number of Ghostbusters helping Colson "bust some ghosts." 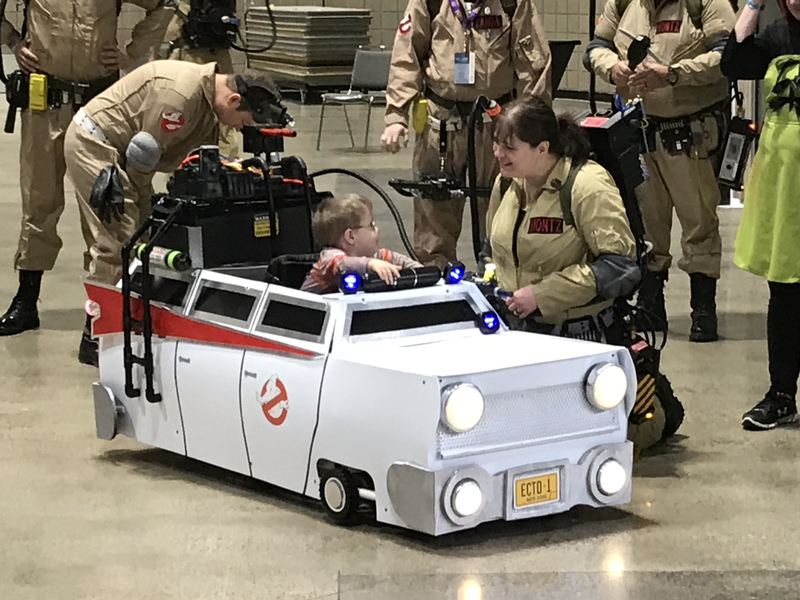 Who ya' gonna' call?